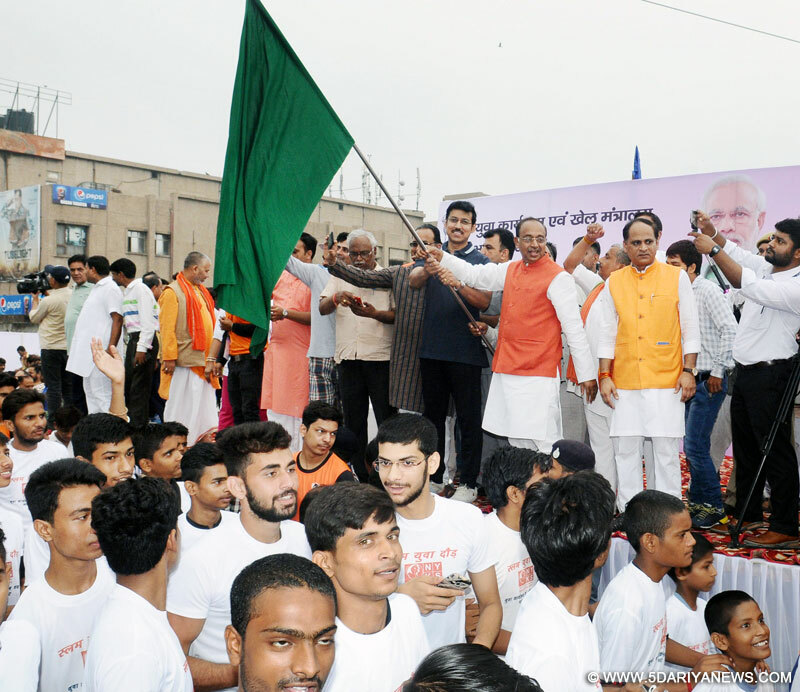 Union Sports Minister Vijay Goel on Sunday flagged off the fifth Mega Slum Yuva Doud with Minister of State for Information and Broadcasting Rajyavardhan Singh Rathore here.The marathon started from Gagan Cinema in Nand Nagri and ended at Harnam Palace. More than 3,000 youths from various slums of Rohtash Nagar, Babarpur, Seelampur, Gokul Puri and Seemapuri participated in the competition. "This is not just any other run but we are running for a better tomorrow, a New India where each youngster is a capable being and sports being one field in which we must grow big and powerful. We have to utilise the youth power in constructive activities and not destructive," Goel said.The Slum Yuva Daud is part of the Adopt Slum Campaign initiated by the Sports Ministry and Nehru Yuva Kendra Sangathan.Goel also said he has a vision of developing slum teams in different disciplines of sports. "We will soon make different teams of football, basketball, badminton in these slums and conduct competitions. This will enable us to scout for talent and we might be able to find the future P.V. Sindhus, Sunil Chhetris, Kidambis and so on." Goel said. A total 11 Slum Youth runs have been planned, of which five have already been successful with mass participation.